In this report the Panel highlights existing technological possibilities and opportunities for both developing and developed countries to accelerate decoupling and reap the environmental and economic benefits of increased resource productivity. 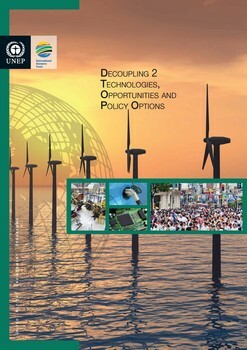 Many decoupling technologies and techniques that deliver significant resource productivity increases are already commercially available and used in both developing and developed economies. They allow economic output to be achieved with fewer resource inputs, reducing waste and saving costs that can further expand the economy or reduce its exposure to resource risks.